"Roca’s mission is to disrupt the cycle of incarceration and poverty by helping young people transform their lives. Since 1988, Roca has worked with the highest risk young people in communities across Massachusetts. Today, Roca works with nearly 700 young men, ages 17-24, each year from 21 communities out of its offices in Chelsea, Boston, Springfield and Lynn, MA. Roca serves high-risk young adults through a non-mandated, community-based intervention model. Roca’s model is four years long: it consists of two years of intensive relationship and skill building, followed by two years of follow up. The young people at Roca are not ready, willing or able to participate in traditional programming, so the organization uses “relentless outreach” by Youth Workers, intensive case-management, in addition to tailored education, workforce readiness and life skills programming to help participants stay out of harm’s way and go to work. Inherent in Roca’s model is engaging the police, probation and other community partners in young people’s change process, to ensure that both our young people and their communities get the best possible outcomes. 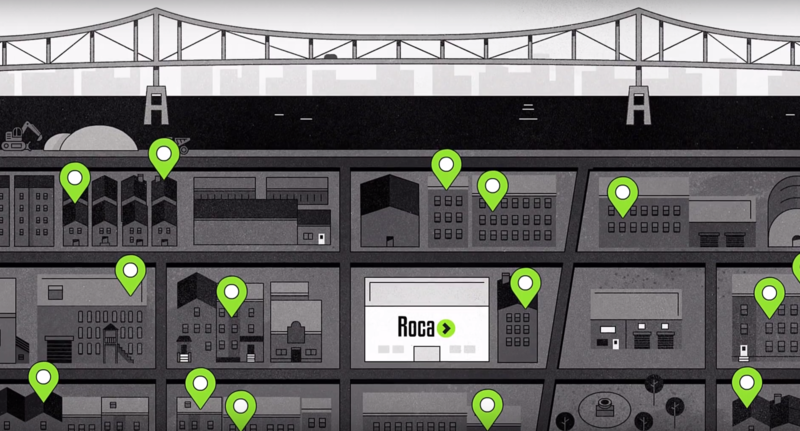 A data driven organization, Roca rigorously tracks its performance and outcomes. The organization is the service provider at the Massachusetts Juvenile Justice Pay for Success Project, the largest Social Impact Bonds project in the U.S. to date. As part of this project, Roca is also subject to a Randomized Control Trial, the gold standard of program evaluation. The organization has a proven success in reducing recidivism and increasing employment gains among the young people it is privileged to serve, and its up-to-date annual outcomes are available on Roca’s website."